Shortly after completing the Dora cake for Stephanie, I received a call from her cousin Teresa. 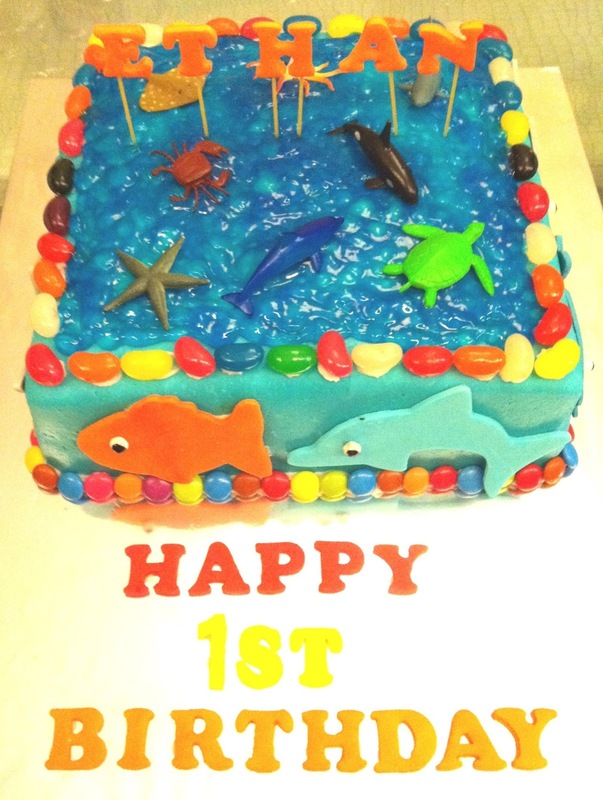 She requested for a Under The Sea Theme birthday cake for her son's birthday. Although Teresa was going to pass me some small sea creatures, but I wanted to make the cake more thematic. 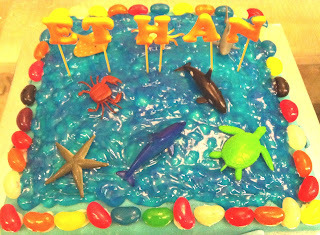 I bought sea creatures cookies cutters and began working on the design. 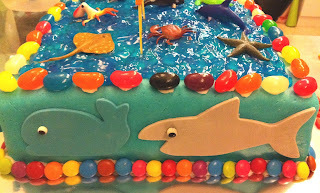 Teresa also wanted the cake to have jelly beans and M&Ms, which I managed to incorporate into the design as the borders. The sides of the cake were adorned with whales, sharks, dolphins and fish. On the top, the sea was recreated with blue coloured edible gel.